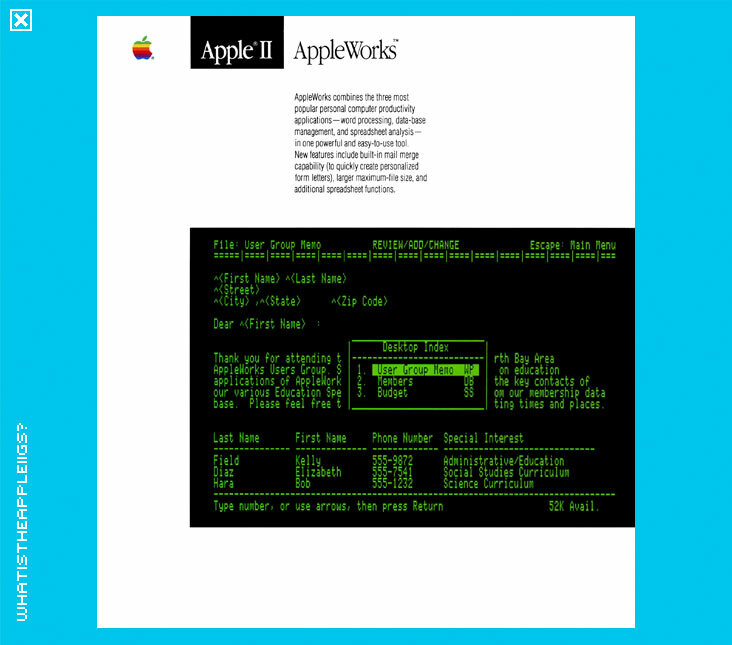 Appleworks, or Appleworks Classic if you want to differentiate it from the Mac version of the integrated software package (the Mac version having previously been called ClarisWorks) was probably the single best selling Apple II software of all time. Its word processor, spreadsheet and database combination as an integrated package proved an almost essential buy when getting an Apple II computer. Tightly coded, rock solid and becoming more feature rich with each successive version, AppleWorks even proved popular with IIGS owners, who could revel in large document file sizes, speedy operation and enjoy the larger capacity format of the 3.5" disk and stuck with that despite AppleWorks GS. 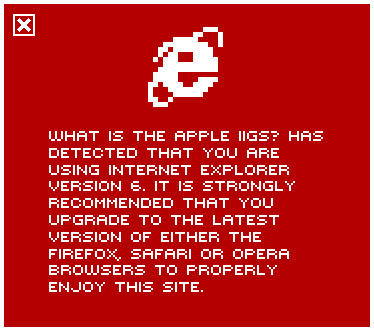 Version 2, coinciding roughly with the release of the IIGS around September 1986, is likely the earliest version of AppleWorks that runs well on the IIGS. 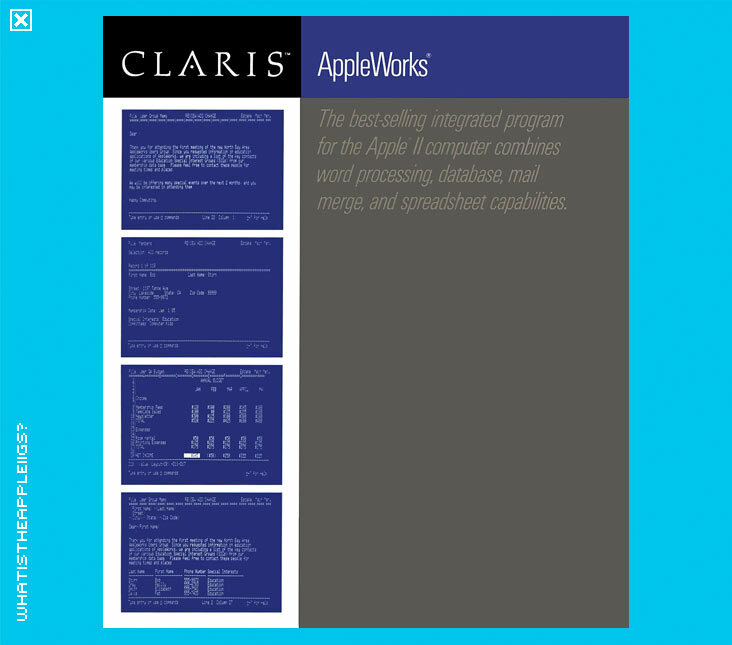 Version 3 followed in 1989, released now by Claris and its update handled by folks from Beagle Brothers, who had extended AppleWorks with Timeout plug-ins. For release in 1993, AppleWorks 4 was now handled by Quality Computers. AppleWorks 5.1 was the last version released, in 1995. This archive includes versions of AppleWorks distributed on 3.5" disk format - v2, v3, v4, v4.1, v4.2, 5.0 and 5.1. Also included are Pinpoint and many various different TimeOut plug-ins. I don't know whether this is complete collection or not. It really feels like archiving AppleWorks is entire category of Apple II software in itself. On a IIGS, I'd suggest using AppleWorks v5.1, which includes a number of TimeOut add-ons, and only look towards the individual TimeOut archives to see if there's anything else that fills a gap to your needs, but I'd be fairly sure this will be enough.